With a new build underway, our sellers are leaving their Queenstown home. Here lies an opportunity to invest in a winning Queenstown formula. A standalone home, on a fee-simple title, with outstanding lake and mountain views. You won't go wrong investing in lake views in Queenstown, and those iconic views can be admired from both the bedrooms and the spacious living. The oversized double garage has plenty of space for bikes, skis, kayaks and the 4WD, with internal access to the main living. Entry from the street is easy and there are two additional off-street car parks for guests. Recently refreshed with new flooring, bathroom upgrades, new drapes and roman blinds throughout and a new cooktop and oven has been added to the modern kitchen. This home is convenient to heat in the winter with a heat-pump on the living level and underfloor heating in the bathrooms, you will be toasty and warm. Outdoor living is large and upkeep is easy. The lake facing deck stretches the entire width of the home and flows effortlessly from the living. The rear north-facing private entertainment area, is a sheltered suntrap, with plenty of space for the spa pool. 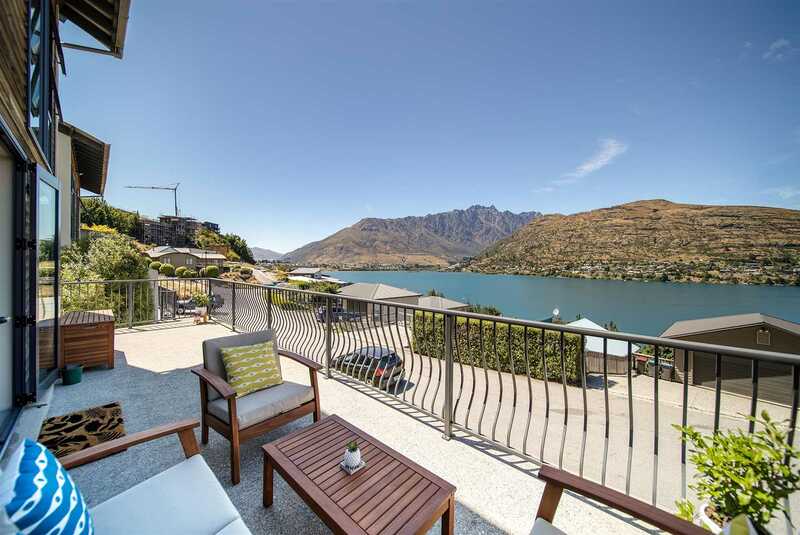 This is a premium position not only for views but also convenience, located between Queenstown's CBD - the tourist hotspot and Frankton's local shopping centres. 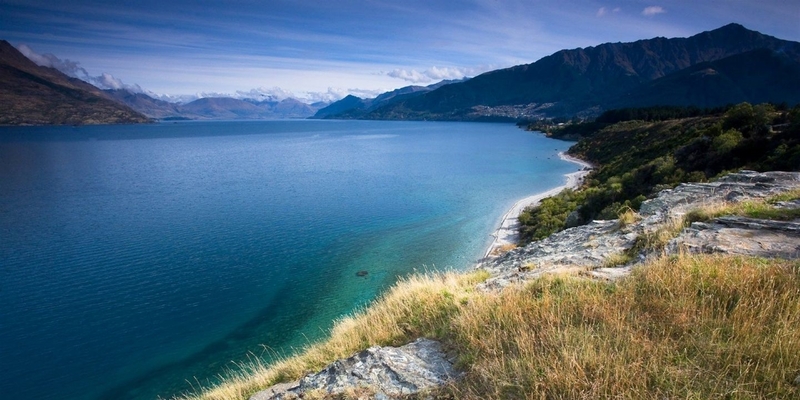 The Queenstown International Airport is a convenient 5minute drive away. Closer to home you are less than one kilometre away from the Queenstown Marina, currently undergoing development to be a future world class marina and where you can catch the Queenstown Water Taxi. Plus it is less than 500m for direct access to Frankton's walking & biking track, the water's edge and the closest bus stop where you can utilise Queenstown's $2 bus fares. This home lends itself perfectly for holiday accommodation and our seller has already applied for Visitor Accommodation consent. To make buying easy a full Building Report and LIM report is available on request. Our sellers are also offering a rent back option - secure your investment now, enjoy guaranteed income from day one of possession, before maximising this property's potential come winter. With their build project well underway, our sellers are motivated to sell. 10B De La Mare Place, is to sell, on or before Auction, 12noon - Thursday 28th February 2019. Contact F&P today to organise your viewing.